A large spider in an old house built a beautiful web in which to catch flies. Every time a fly landed on the web and was entangled in it the spider devoured him, so that when another fly came along he would think the web was a safe and quiet place to rest. One day a fairly intelligent fly buzzed around above the web so long without lighting that the spider appeared and said, "Come on down." But the fly was too clever for him and said, "I never light where I don't see other flies and I don't see other flies in your house." So he flew away until he came to a place where there were a great many other flies. 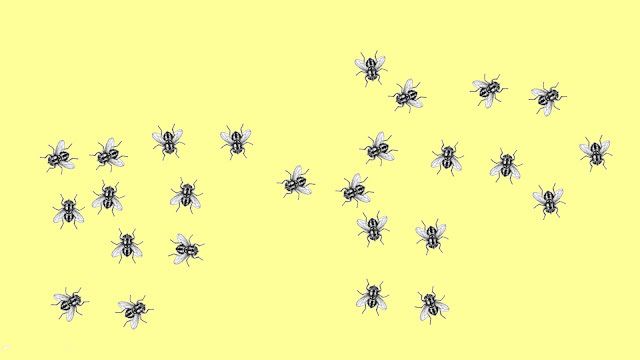 He was about to settle down among them when a bee buzzed up and said, "Hold it, stupid, that's flypaper. All those flies are trapped." "Don't be silly," said the fly, "they're dancing." So he settled down and became stuck to the flypaper with all the other flies.